On a Sunday morning, one can find Buttermilk Bakery bustling with customers eager to enjoy a tempting array of freshly baked goods. 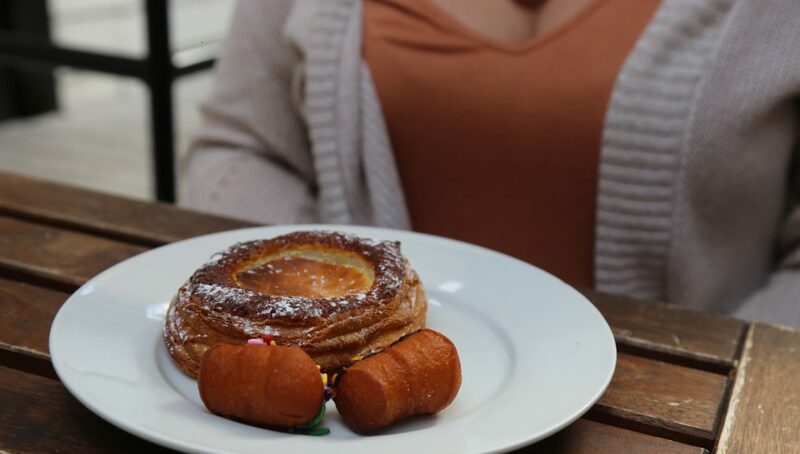 Originally opening its doors in 2016, the restaurant is a mother-daughter-son team that offers French and American style pastries, as well as a selection of daytime meals. The bakery, located on Orange Avenue near Park Avenue in Winter Park, provides a clean and simple ambiance to guests with white walls and rustic, tasteful decor. While it offers limited seating inside, guests can find additional seating on the patio off to the side of the restaurant. The service at the counter was friendly. The employees were eager to answer questions from guests about pastry flavors and menu items. If guests chooses a bakery item, they get it on a white plate that they take back to their tables. However, if they order from the brunch or lunch menu, a server brings it to guests’ tables in a timely manner. While Buttermilk Bakery primarily focuses on baked goods, it also features a lunch menu offered from 8 a.m. to 4 p.m., Thursday through Friday and a brunch menu from 11 a.m. to 3 p.m. on Saturday and Sunday. The lunch menu sports healthy classics like avocado toast, made with feta and sprouts. 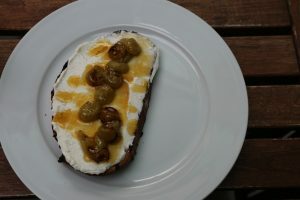 The bakery also offers savory dishes, as well, like the deviled egg tartine, which has smoked paprika, Dijon, pickled red onions, all on house-made sourdough bread. Prices range from $8 to $15. On the weekends, the restaurant expands its menu to include items like house pasta, complete with butternut squash and buttermilk pancakes, topped with a warm chocolate ganache. 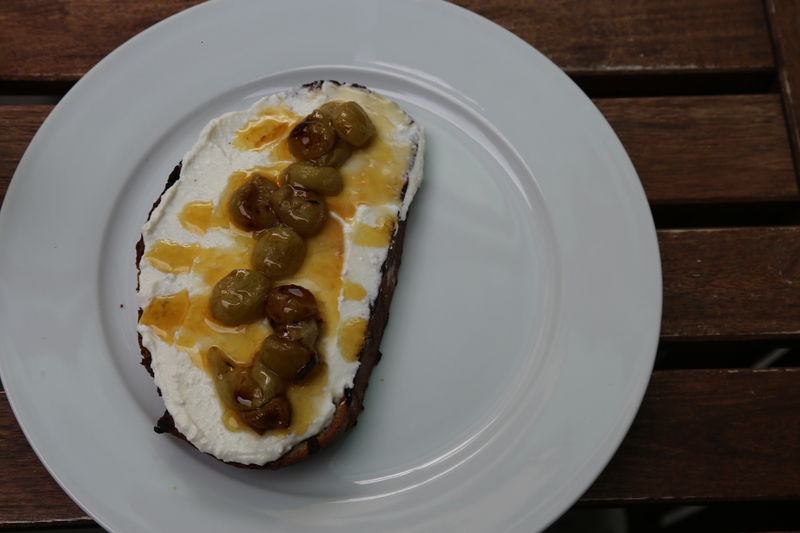 Another weekend staple is the seasonal ricotta toast. January’s rendition tops the house-made cheese spread with local raw honey, thyme and roasted grapes, which provides both sweet and savory elements. The toast provides a unique flavor, but can get soggy if it sits for too long. On the bakery side of things, Buttermilk Bakery does not disappoint. The restaurant offers a plethora of croissants, from sweet flavors like chocolate and almond to savory ones like speck ham and gruyere, and charred jalapeno and smoked cheddar. There are also creative goods, like monkey bread croissants. The monkey bread boasts a caramelized flavor, with a doughy texture and cinnamon aftertaste. 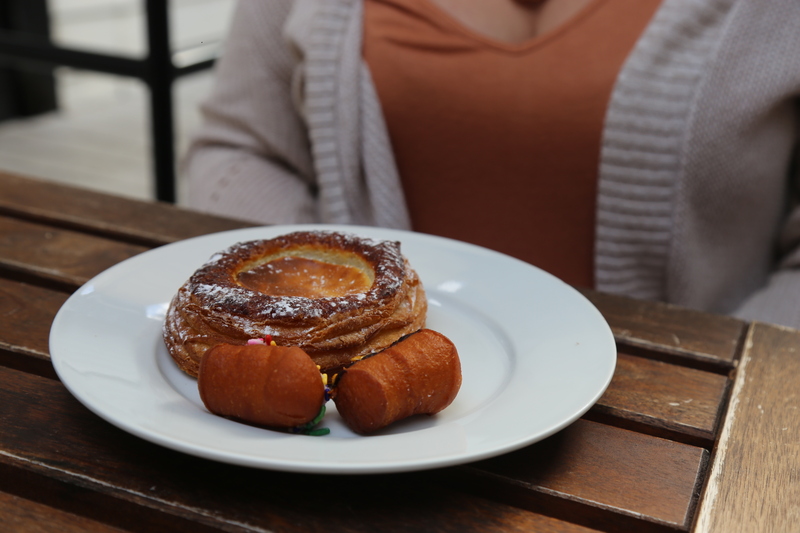 Another popular menu item is the brioche doughnut, which is thicker and more fluffy than a typical doughnut. The doughy goodness is laden with sweet icing and aesthetically pleasing decorations. Flavors range from matcha to pomegranate rose. As Winter Park’s creative culinary options expand, Buttermilk Bakery serves as a positive addition to the area. The atmosphere provides a hipster, but laid back setting that offers a range of goods for guests to enjoy both in the early mornings and late afternoons.